Will Donald Trump Follow Up on His Threat to Close the U.S.-Mexico Border? Toronto, April 1: US President Donald Trump, after not being able to get money from Congress for his proposed border wall, has threatened to close off the country’s border with Mexico to stop ‘illegal aliens’. 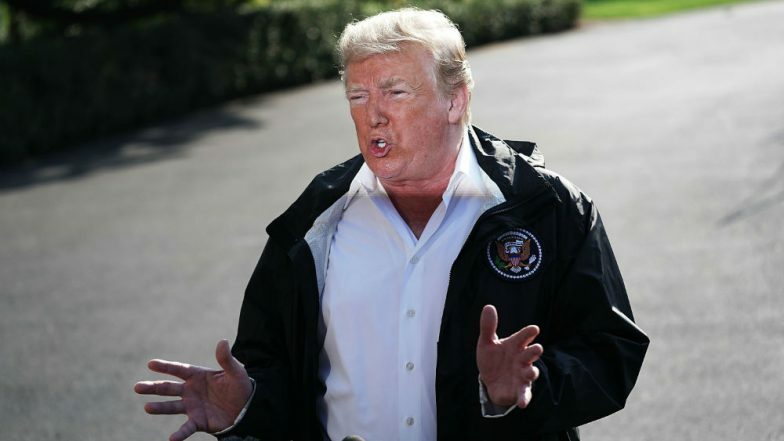 “There’s a very good likelihood that I’ll be closing the border next week, and that will be just fine with me,” Trump told reporters at his Mar-a-Lago resort in Florida on Friday. Trump’s chief of staff Mick Mulvaney said it would take “something dramatic” for the president not to follow through on his Friday promise. Trump has threatened shutting down the border as the U.S. has seen a surge in asylum seekers from Central and South America show up at the border checkpoints. Department of Homeland Security officials said that March is on track for 100,000 border apprehensions – the highest monthly number in more than a decade. Homeland Security Secretary Kirstjen Nielsen the U.S. government faces a “system-wide meltdown” as it tries to process the asylum seekers at the border along with overseeing more than 1,200 unaccompanied children and 6,600 migrant families in its custody. Trump also ordered a halt in aid to three Central American countries of Guatemala, El Salvador and Honduras, from which the bulk of the asylum seekers head to the U.S. The US President said, "We were paying them tremendous amounts of money. And we're not paying them anymore. Because they haven't done a thing for us. They set up these caravans." Even as Trump threatens the closure, shutting U.S’s border with Mexico would disrupt billions of dollars in trade and millions of legal border crossings. The trade between the two countries, carried out mostly by the land route totalled up to $612 billion last year according to the U.S. Census Bureau.